By Atri Chatterjee, CMO of Act-On Software, Inc. The “Great Recession” has served as a forcing mechanism, pushing small and medium-sized businesses to cut back on expensive traditional marketing methods while searching for lower-cost – yet effective – alternative strategies. At the same time, buyers themselves have dramatically altered their own habits: Today, every buyer’s journey, whether for consumer goods or a business purchase, begins with a web search. The new generation of top-performing SMBs has turned these circumstances into an opportunity by embracing digital marketing. They’re reaping new benefits as a consequence, often surpassing their own revenue goals. As revealed in a recent Forrester Consulting study, there are five fundamental improvements that SMBs can make to their business to establish themselves as part of the next generation of top marketing and revenue performers – without having to expend additional resources or budget. These five actions, as drawn from the habits of top performers, can improve business, marketing and revenue performance, and help an SMB compete more effectively in the marketplace. 1. Don’t reactively cut the marketing budget in a down economy. Top performers have shown that maintaining or increasing investment will pay off in revenue performance. Decreasing marketing budgets in a down economy is like saying “I will add less wood to the fire when the weather gets colder.” It’s not a winning strategy. 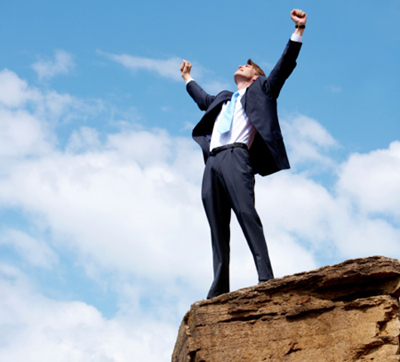 Top performers add or maintain marketing spend when times are tough. 2. Take lead generation as seriously as lead management. The top-performing SMBs have demonstrated that a little bit of process rigor in lead management yields great results. SMB marketers should carefully manage every lead, vetting, qualifying and nurturing before handing off to sales for the close. But robust lead management seems to have come at the expense of a commitment to fill the top of the funnel. Keep in mind though that while successful pipeline management is more than just a numbers game, it does all start with a lead! 3. Get online and start using digital marketing techniques. SMBs need to venture out of their comfort zones when it comes to marketing techniques. Though print advertising, tradeshows and events are still good for business, they are not as scalable, efficient, or metrics-driven as some of today’s more modern forms of digital marketing, such as social media, webinars, downloadable content, and advertisement retargeting. 4. Get serious about social marketing. Social channels are no longer used just for sharing personal content, monitoring conversations, or discovering new people to follow. Stop thinking about social media and start thinking about social marketing. SMBs need to follow in the footsteps of their larger enterprise counterparts who have proven “social” is not just an abstract and immeasurable buzz-generating tool. It’s an integral part of their lead-to-revenue management process—an engagement strategy that can have a measurable impact on lead generation. 5. Use marketing automation to complement CRM. SMBs have begun to automate their sales processes with CRM, but now it’s time for them to improve execution of the entire “lead to revenue” process by automating marketing. Marketing automation vendors have engineered their solutions to optimize the processes of lead origination and nurturing, to deliver better results with less labor. In addition, these systems minimize the managerial overhead of executing, monitoring and measuring, which is a great aid to the over-stressed SMB marketer. Advance the performance of your SMB by taking heed of the five suggested improvements that top performers have suggested and turn your business into the next generation of success! 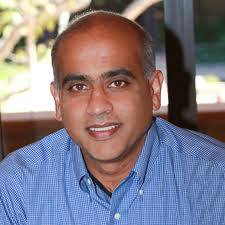 Atri Chatterjee, CMO of Act-On Software (http://www.act-on.com), is responsible for all things marketing at the company. His previous experience includes senior roles at Symantec, VeriSign, McAfee and Secure Computing. He was also a member of the founding team at Responsys, and an early employee at Netscape.